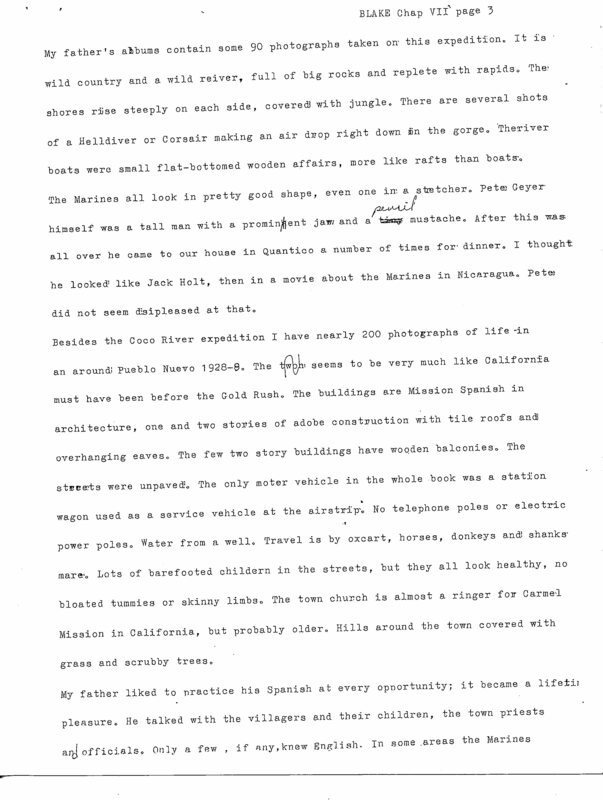 This page houses excerpts from a draft book manuscript by Robert Wallace Blake, the son of Major General Robert Blake, USMC, on his father's illustrious military career. 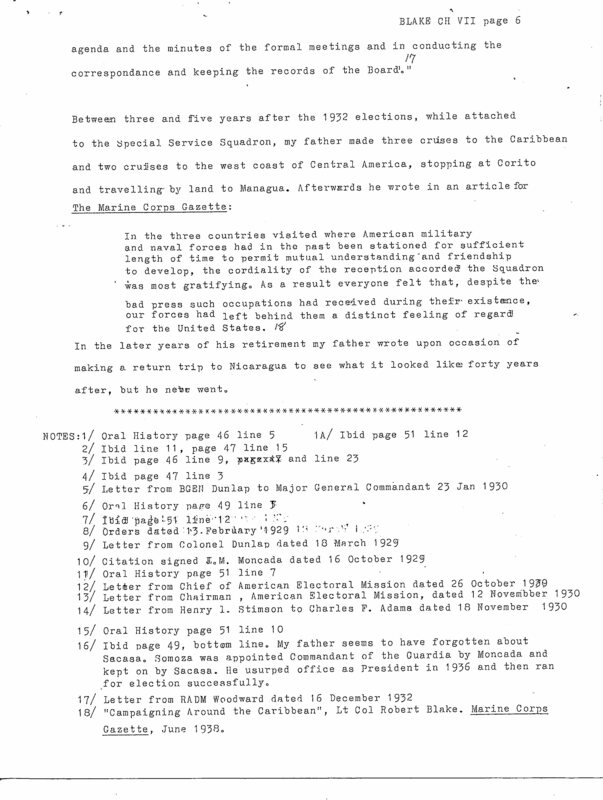 A revised version of this chapter was published in Bayonets and Bougainvilleas, described by the publisher as "the life story of a career Marine officer decorated for valor in three wars, and a memoir of war and peace in the U.S. Marine Corps in the first half of the 20th century." 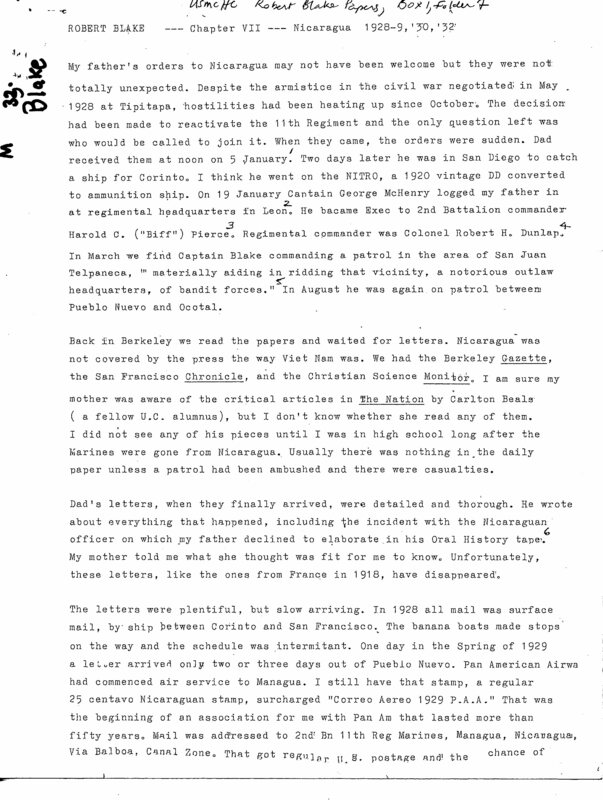 In 2004, Robert Wallace Blake published his father's entire oral history transcript, in From Belleau Wood to Bougainville: The Oral History of Major General Robert Blake USMC and The Travel Journal of Rosselet Wallace Blake (AuthorHouse: Bloomington, Indiana, 2004), excerpts from which are available online at GoogleBooks. 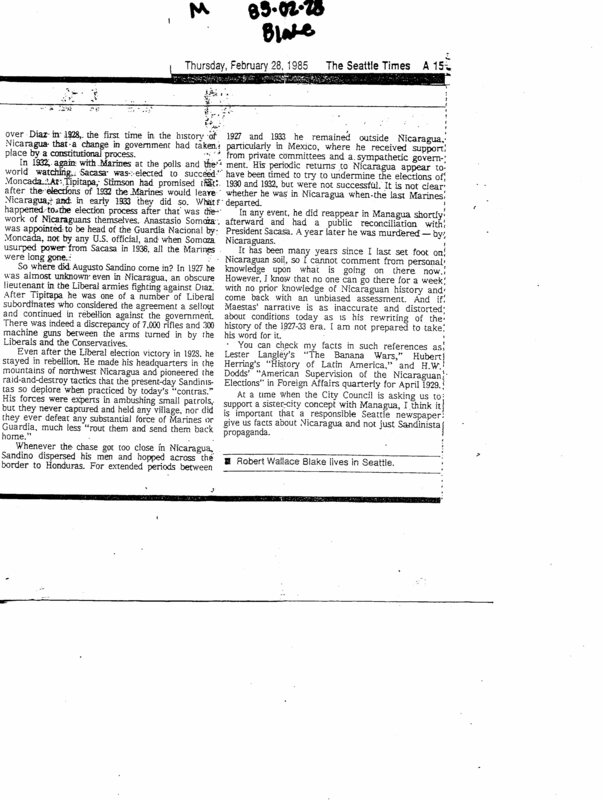 Also included here is a February 1985 op-ed piece in the Seattle Times by Robert Wallace Blake. I thank David C. Brooks for this material. 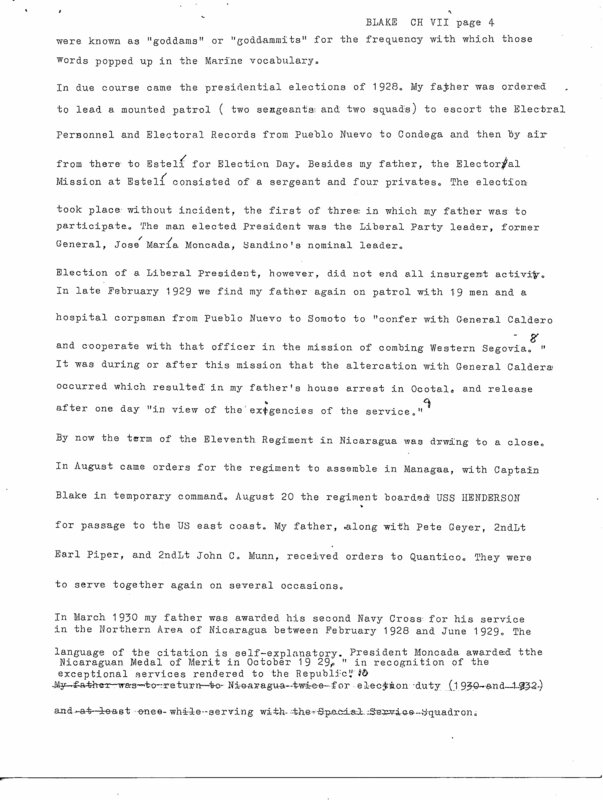 Draft mss. 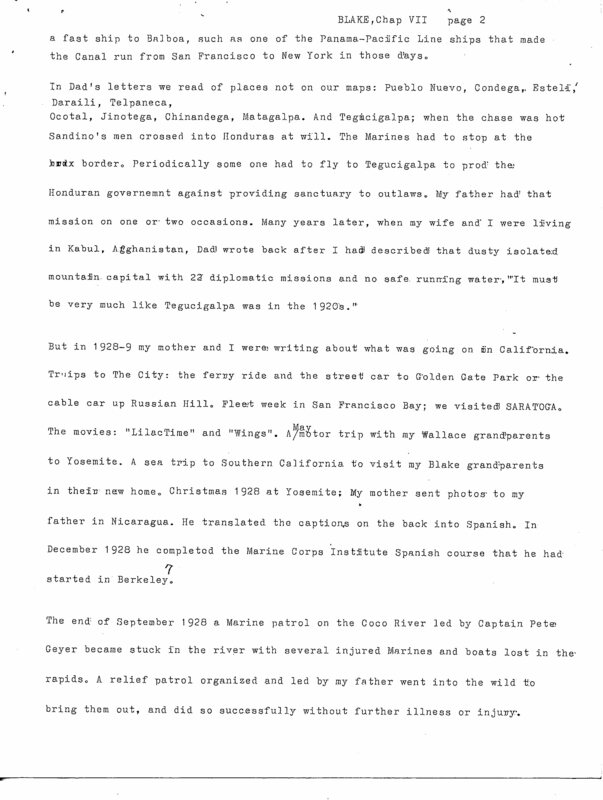 title & first page. "Chap. 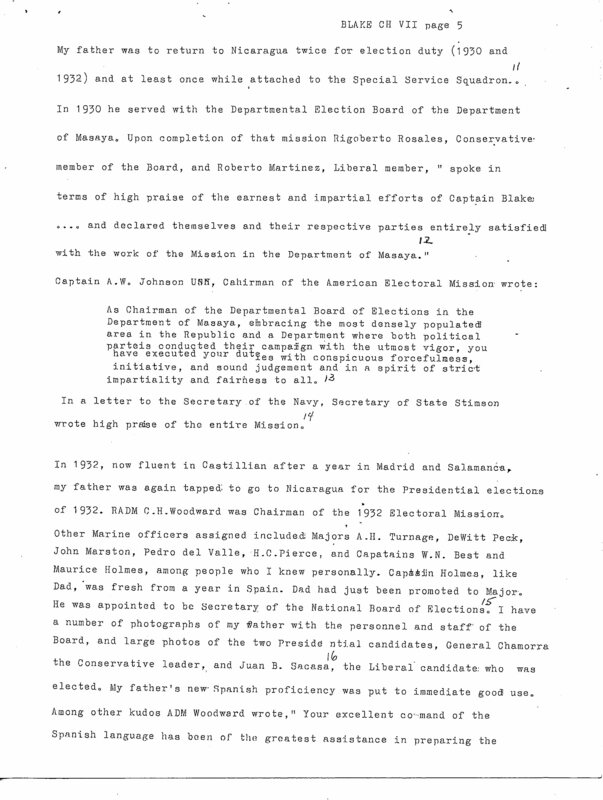 VII, Nicaragua, 1928-9, '30, '32"
Robert Wallace Blake, "Correcting Record on Nicaragua," Seattle Times, Feb. 28, 1985, p. 1. 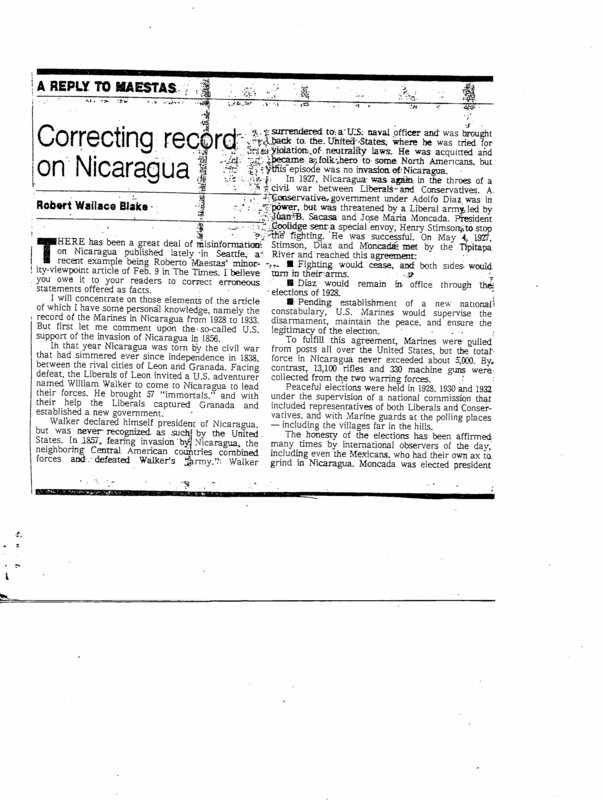 Robert Wallace Blake, "Correcting Record on Nicaragua," Seattle Times, Feb. 28, 1985, p. 2.